Monte Estes has demonstrated throughout his career an ability to keep his clients best interests at the forefront as he creates and implements legal strategies to resolve their legal issues and further their business goals. Monte’s practice encompasses all aspects of commercial and general litigation. He’s as adept at handling breach of contract or property title disputes as he is defending clients at trial in personal injury claims. He is known for his legal expertise in the title insurance industry and other matters relating to real estate transactions and disputes. His extensive trial experience also includes appellate advocacy. 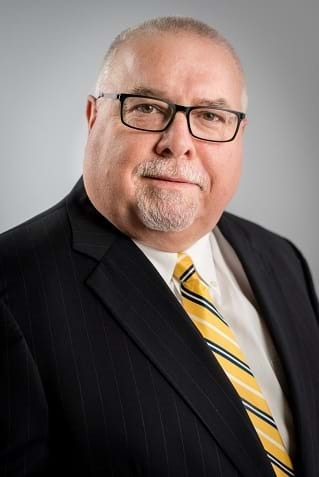 During his nearly three decades of practicing law, Monte has successfully represented clients in numerous venues, including both the Arkansas Supreme Court and Court of Appeals and the Eighth Circuit Court of Appeals. Recognized with a distinguished rating by Martindale-Hubbell®, Monte graduated from the University of Arkansas in 1980 with a bachelor’s degree in secondary education and history. He worked as a public school teacher for several years before earning his law degree from the University of Arkansas in 1989. Monte and his wife, Elizabeth, live in Little Rock and have two children. They are active members of St. Paul United Methodist Church in Little Rock. When not cheering on the Razorbacks and St. Louis Cardinals, Monte enjoys upland bird hunting with his two Brittany bird dogs. He also makes annual hunting trips in the northern and western United States and has had multiple stories published in an outdoor magazine.